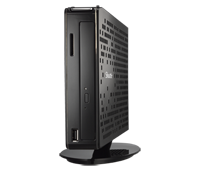 The Shuttle X350 V3 is faster than its predecessor, with a performance upgrade to the latest Intel® Atom™ D2700 dual-core processor with NM10 chipset. It’s designed for everyday entertainment and more with the snappier than ever Intel® GMA 3650 graphics. For even more performance, the power-packing slim PC is available with optional AMD Radeon™ HD7410M graphics for true 1080p HDMI. Even with all the extras inside, the ultra-compact and super slim PC – X350 V3 – is smaller than ever before, at only one-third the size of the previous generation slim PC. At just 1.5 inches (38.5mm) thin, the 1-liter PC (industry speak for some of the smallest desktop computers you can buy) features a slim design that is not only space-saving for projects or applications where space is critical, but it fits easily into any environment with the ability to be mounted behind an LCD TV or monitor. 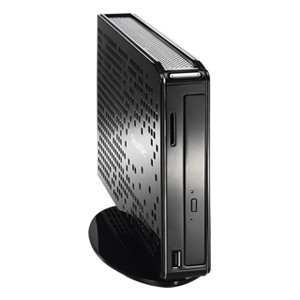 Even with the small size, the X350 V3 packs in a slim optical drive bay and available AMD Radeon™ graphics with true 1080p HDMI output for a slim PC that’s unmatchable in size and performance. 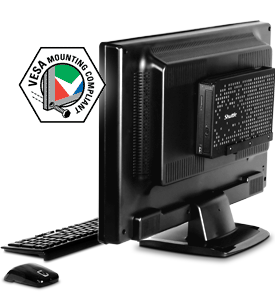 Slim, small and virtually unlimited in terms of placement possibilities, the X350 V3 can be wall mounted or fitted behind your monitor with the available VESA mounting bracket. With a built-in SD card reader, the X350 V3 allows easy transfer of files so sharing videos and photos is quick and simple. 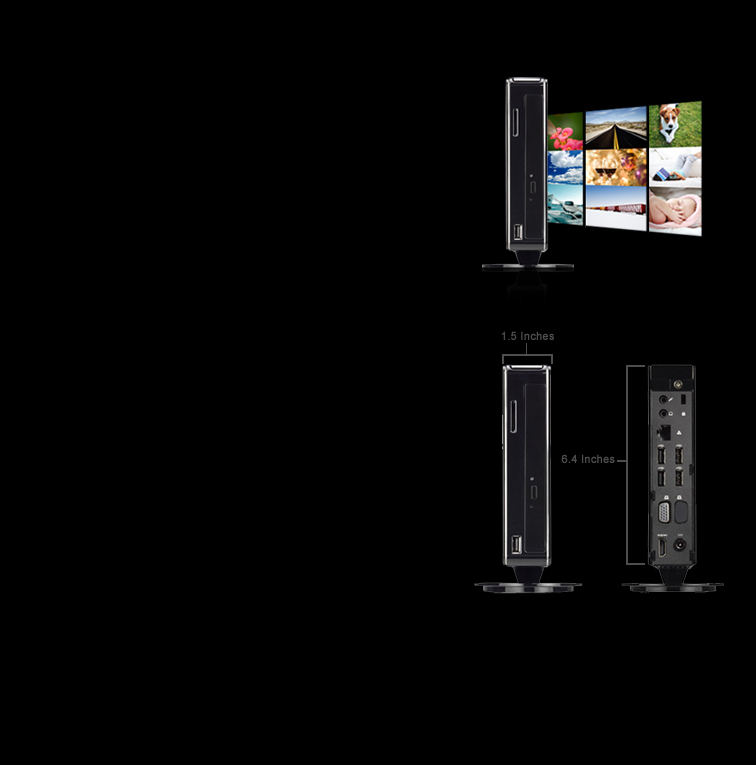 Enjoying movies, videos, photos, and music from the X350 V3 is simpler than ever with HD 2.1 audio. High-speed 802.11n wireless technology is built into the X350 V3 so it’s simple to print, surf the web, and even download music – from the comfort of almost anywhere.